Iron ore beneficiation processing is composed of preparation operation: iron ore crushing, screening, grinding, classification, and main operation: enrichment of metallic minerals or screening, screening of iron ore uses magnetic beneficiation, gravity beneficiation, flotation, electrical concentration, and so on. Iron ore beneficiation processing depends on the composition of iron ore. For iron ore, magnetic beneficiation is most widely used. In whole equipment for iron ore beneficiation, we can provide all the equipments that you need. 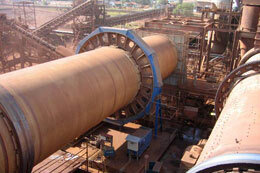 Dut to various types of iron ore, there is difference between iron ore crushing equipments with different material. 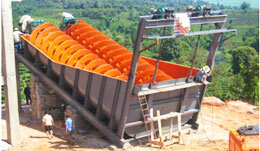 According our experience, cone crusher is used for magnetic iron ore, hematite, and spathic iron ore, all of which are with high hardness, or when the enterprise is of great production capacity, jaw crusher is used for magnetic iron ore, hematite, and spathic iron ore in medium-sized company, all of wich are with medium hardness. Centrifugal crusher is mainly used for limonite iron ore.
We provide high efficient vibrating screen for customers to choose. 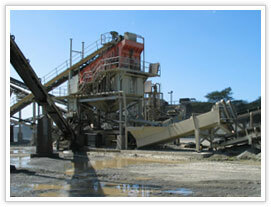 Iron ore production line with different output, different vibrating screens are used accordingly. We provide belt conveyors with different length, we have rich experience in transportation of iron ore. Belt conveyor is the indispensable equipment in the process of iron ore beneficiation. 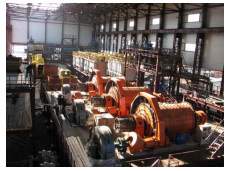 For iron ore grinding equipment, ball mill is definitely the most widely used equipment in the world. We provide high efficient ball mills with different size, as well as various high efficient, new ball mill for customers to choose. Besides, we also provide iron ore magnetic beneficiation equipment, if you have any questions or demand, please click here to consult online. The most important stages in iron ore mining processing are crushing and flour milling. We provide jaw crusher, cone crusher, and new type of mobile crusher to make iron ore crushing, jaw crusher is commonly used together with impact crusher. Iron ore grinding is a complicated process, we provide different production line to choose, we also have rich experience in allocation of iron ore grinding production line.